Vote in a Poll or Create a Poll.. Any Subject. What's your favorite breed of wolfdog? Exotic Wishlist: high content wolfdog or wolf,low to mid content wolfdog, Coyote, Coydog, Black-backed Jackal, New Guinea Singing Dog, Red Fox, Gray Fox, Mink, Raccoon, Coati,and Kinkajou. If you're looking into getting one, make sure you check the blacklisted breeders first! And supposedly high percentage wolf-dog pups are dark and solid in color. Signature art (c) me! Please do not steal it! Yeah, Though CR has said before she is interested in a certain wolf dog look and not the high content wolf look, good breeder part would still apply though. Wolfshit made me laugh out loud! I'm Fable and Ifrit's mommy. Also mommy to Carousel, Breeze, and a bunch of snakes, lizards, and spiders. Oh, and one amphibian! Ok. Scratch the Wolador. 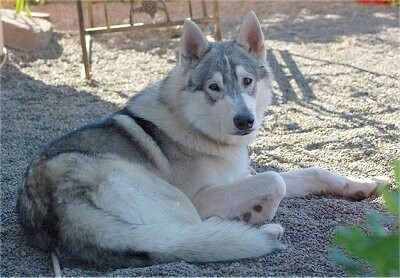 The Wolamute should be renamed to just Wolf/Malamute hyrid. They do exsist,but not as wolamutes. Hebridean Wolfdog was just from one breeder that was crossing Czech wolfdogs and Tamaskan dogs and claiming they were pure Czech so not techincally a real breed either. British Wolfdogs are crossed by alot of breeders in England but they are basically just crossing between British Inuit Dogs and Saarlooswolfhonds. They're mostly bred by a place called Shoshone Kennels. 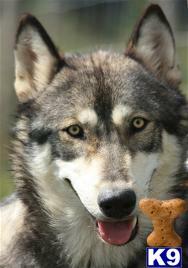 The rest are real types of wolfdog crosses and breeds. I guess I should have technically named the poll favorite wolfdog type indeed of wolfdog breed since husky x wolf, and malamute x wolf aren't really techincally breeds. And the British Wolfdogs and Hebirdean Wolves dogs are debatable and controversial and not really true breeds at all. So they do exsist maybe. I wonder if the one I posted from dogbreedinfo is from that litter as well. Neither sets of dogs look very wolfy at all though. 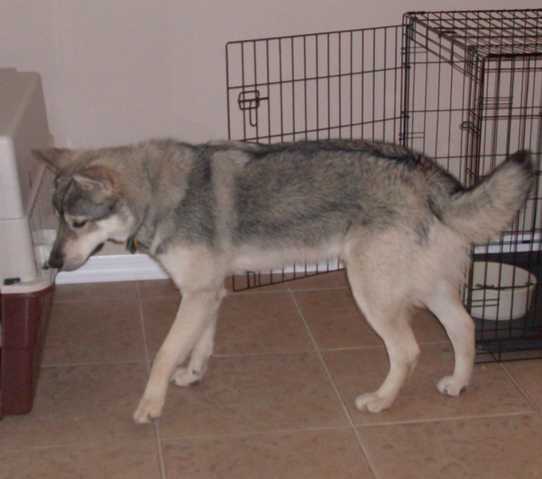 They exist just because someone bred two animals together, that does not make them a breed, same as my statement before, that website doesnt prove anything different someone just decided to write about a low content wolfdog being mixed with a lab?? Heck i could write a webpage about some mixed breed mutt and give it a new name would that make it a breed? 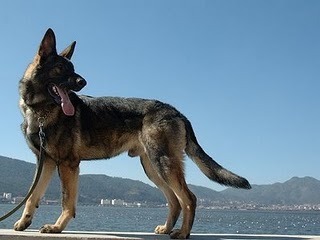 Exact same thing for the Wolamute they are not a breed of wolfdog, just something a back yard breeder made up. You are just giving these misrepresenting back yard breeders more power by using they're fake names they made up. Yeah like people calling runt chihuahuas teacups. I just thought it was interesting that it did happen at least once. Look as i was curious also what it would look like being an unconventional mix. No. It wouldn't be a breed unless there were more than just a few breedings of it by more than just one breeder. 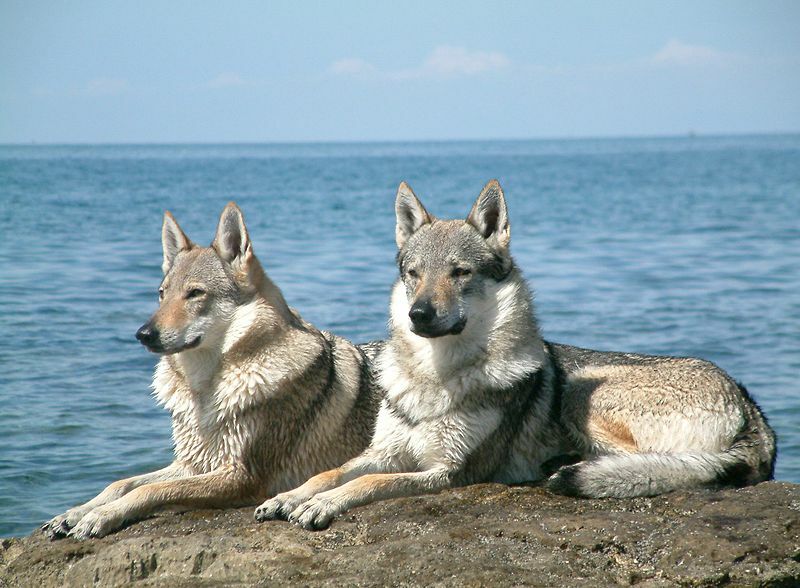 I wasn't making a point about them exsisting as a breed but more about the fact that there are some exsisting lab-wolf crosses which I found really interesting. In most cases though,it seems like they appear to be an accidental breeding since who would want a wolfdog that looked like a labrador? I didn't know about the wolamute name being invented by scammers. Sorry. I made a new topic about wolfdog breeds and types here in the poll section to be more accurate. I assumed you were talking about a breed being the topics called favorite wolfdog breed. I'm sure there's almost any kind of mix around as people will let anything breed to anything these days. CR said scratch the wolador and I just posted that I found some, as I was curious if any of the cross actually existed and Cr just replied to me. I'm sorry but I was just curious and have no control of the title of a thread, well technically but I'm not going to go around messing with people's threads. Sometimes threads do spark discussions that are not 100% on the original topic. We allow that sort of thing here. Raptors, Hawks, Eagles, Owls etc. Invertebrates - insects, spiders, slugs, etc.